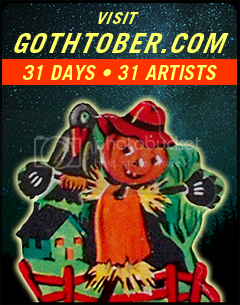 Visit www.gothtober.com and click on DAY 9 to see an animated story by Pauly G and family! Paul and his siblings used to listen to Nanny BeeBee’s Gruesome Tales that she would tell them before bedtime. 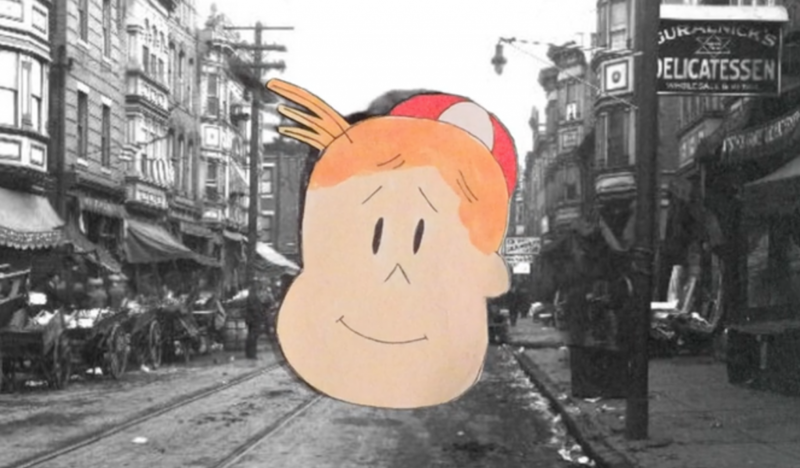 “Buddy and the Fishhook” is a TRUE story that took place in Philadelphia in 1921. Told with animated paper cut-outs with limbs sewn together with needle and thread, this little story is short, sweet, and well… kinda GROSS! Paul said that this story his Grandmother told always held a vivid scene in his imagination, and he said that it was lots of fun to bring to life. This wasn’t the only one she told either, she had many, some of them quite macabre! Aunt Rose and The Million Dollar Pier, Elsie and The Box of Chocolates, The Cat o’ Nine Tails and Poor Adeline. Paul’s Mother, Marcy, does the narration on this, and his son, Francis, plays the piano at the end! Thank you to Lecie, Trixy and everyone who came together to make a really great mini-gristly project! Paul’s bio and other Gothtober contributor’s bios are here!